I always have that itch, no cream will cure it either. Only sawdust flying. Hey Rodney, I had a play with that file you shared, and trimmed away a lot of the excess arm carve routing for the sake of time and power bills, so I thought I’d share the new version here so other people can play with it if they want to. I also added an extra humbucker from the original file, a more modern Ibanez heel joint, and a Jem handle. Because Easel doesn’t let me enter two decimal places, the arm carve will have to be hit with a sanding block to even out the steps and the inconsistencies in depth, but is a lot more accurate and easy than they way I’ve been doing it by hand all this time! If anyone does carve this file, don’t forget to place your tabs where you want them, use a 1/8" bit for maximum effect, and delete the centreline that I’ve included just in case you want to line something up. Awesome man! Greatly appreciate it! Trying to find myself more time to get in my shop. I’ll start sharing as well! I did however get my hands on a copy of Aspire so I’ll be playing with that as well. Hot damn - just now loading this up! Thanks man!!! I actually got myself a copy of Aspire to play with as well. Keep sharing anything you - and I will as well! I currently paint guitars on the side - built them ages ago but want to get into it again! OK, so, more questions. I really like the strat and Tele body templates in this forum but when I pull the templates up and I center the pickups to the body and neck pocket, everything shifts a little. Should I be using that function or can I just go ahead and use the templates as is? 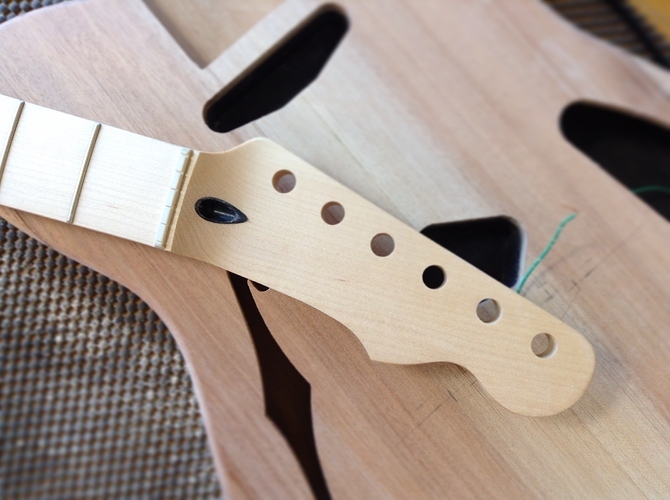 Also, the neck template I’m assuming is for these two body templates, correct? Again, thanks in advance for helping. Someone will have to chime in. 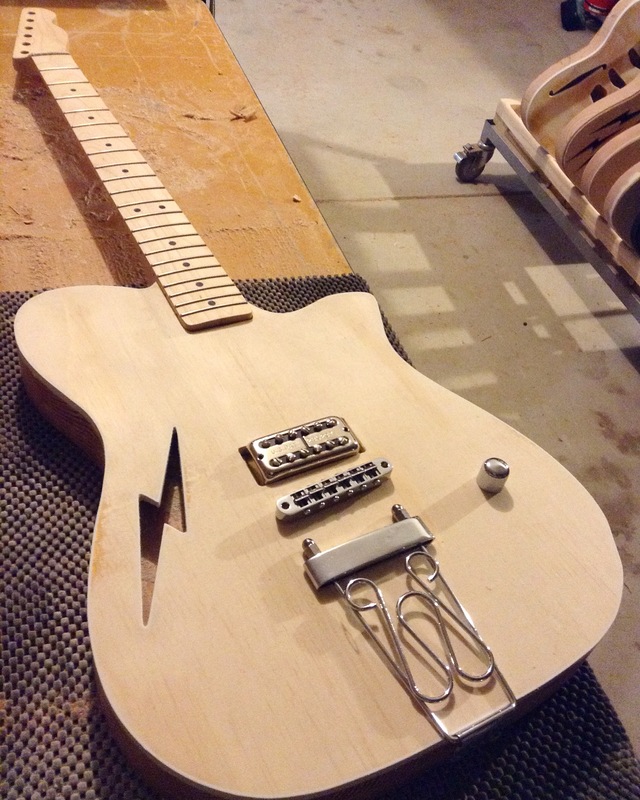 I do not use the auto alignment tool when I’m placing pickups. I believe that everything selected aligns with the one closest to x-0? I manually enter the x coordinate for everything so that it matches the x center of the neck pocket. About to purchase a 1000mm X Carve, mostly for bass making. Big question is - do I need Easel Pro? I plan to do rough shaping on bodies and necks, but I still want to do most of that by hand, just want it dimensionalized, and possibly somewhat contoured on the back of the neck. 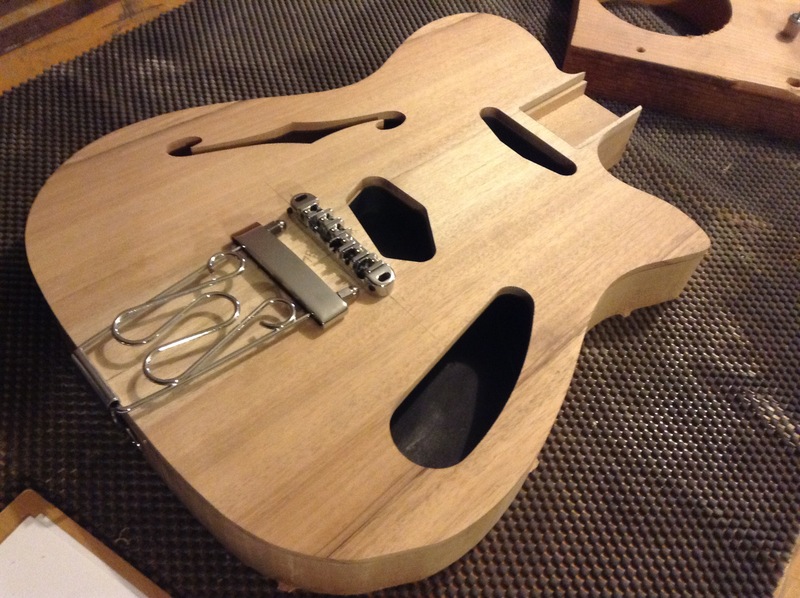 I also want to do the arm bevels, and headstock break angles. should I use a different 3D program that works nice with the X Carve? Any advice would be great before I complete my purchase, which will be in a day or two. Easel Pro is not 3D. If your designing in 3d you’ll need something like fusion 360 or Aspire. thanks Chris, so to be clear, for making guitar stuff, Easel Pro offers nothing more than the free version of Easel, essentially? 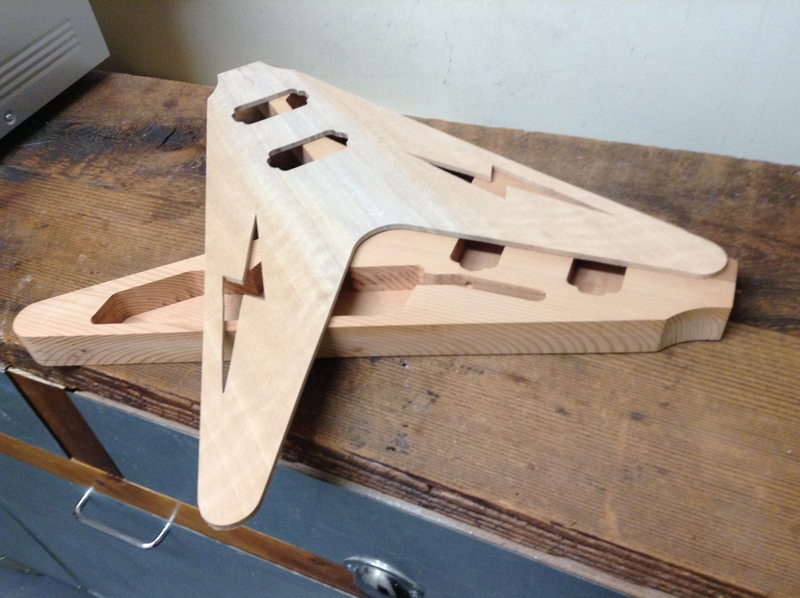 can I get rough shapes cut with the free Easel - ie; roughed in neck dimensions, stepped arm countours, headstock break angles, etc? You can but it would be painful! Try it out a little, it’s fine for signs and text and things that don’t need to be precise. Check out the Vectric software you can try it for free. They also have great training videos. I disagree with everyone else. I have a business called Temple Guitars. Click the link if you want to see what I do using just Easel and an X Carve. The X Carve has completely changed the game for me, giving me accuracy and repeatability for a reasonable price. I do think I had more teething issues than most, but customer service have been tireless in their commitment to getting me on track. I actually have Fusion360, but I don’t use it, as at some point in your luthiery CNC journey you have to ask yourself how much you want the CNC to do. Milling takes a lot of time, and with some operations it’s just faster to do it by hand. For example, you may only cut 10mm of your cavities, then hand rout the rest with a bearing bit. Saves so much time. Similarly with outlines- cut 10mm, take it off the machine, bandsaw it out and blast it into shape on the router table. Neck carving on the X Carve takes forever, so I just cut the outline, truss, and carbon fiber neck rod channels on X Carve, then take it off and shape them with Shinto rasps and Iwasaki files. 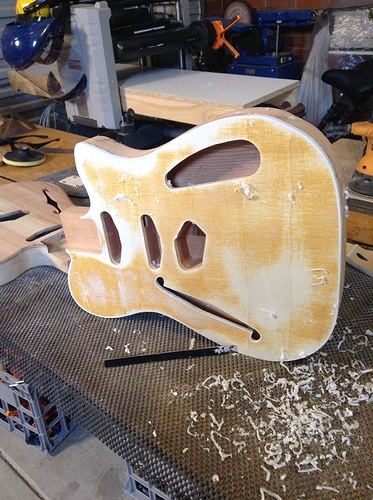 I can shape a neck a lot quicker than my machine can, and I enjoy doing it. But it’s really up to you. Using Easel, this is what I do- I break different operations (say, on a body), into different workpieces on the same file. That way, if Easel decides to have a meltdown (it happens), instead of having to get it to do everything up to that point again, you can just start at the beginning of the last operation. 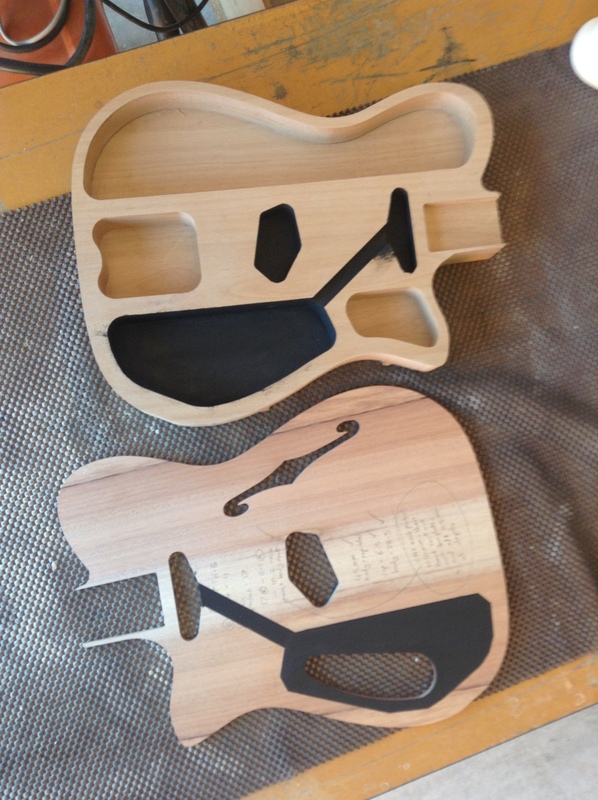 I cut all outlines 100% in Easel, all cavities (including chambering for hollow/semi hollow bodies), binding channels, neck pockets, and under-cap wiring channels. I drill out smaller wiring channels and output jack cavities. Then I use templates/jigs and either bandsaw, router, or hand rasp/file for arm and belly carves. If I’m prototyping a new instrument, I do the ‘cut 10mm and blast the rest out by hand’ method I mentioned earlier. I also do round overs by hand, as I made a router jig like the Stew Mac one. I can rout a binding channel in under a minute. Here are some pics of X Carve results with just Easel, I hope you find them inspirational, because I believe Easel is an insanely powerful tool, if you can think laterally you can side step a lot of the issues that make people think it’s not a good option. As far as Pro is concerned, you get two free Pro days a month, so there’s no need to get it unless while using it for free, you decide you can’t live without it. I don’t need it, but you might, so just have a go and see what you think. I hope that helps, and I’m looking forward to seeing what you come up with! Not wanting to deny any of your points, but what was said is that Easel isn’t any good when it comes to true, 3D effects. What was said first is “I plan to do rough shaping on bodies and necks, but I still want to do most of that by hand, just want it dimensionalized, and possibly somewhat contoured on the back of the neck. I also want to do the arm bevels, and headstock break angles. So I replied that he can do what he wants in Easel, except I don’t do neck contours, arm bevels, and headstock break angles in Easel. They are possible in Easel if you step them, I just don’t do it. 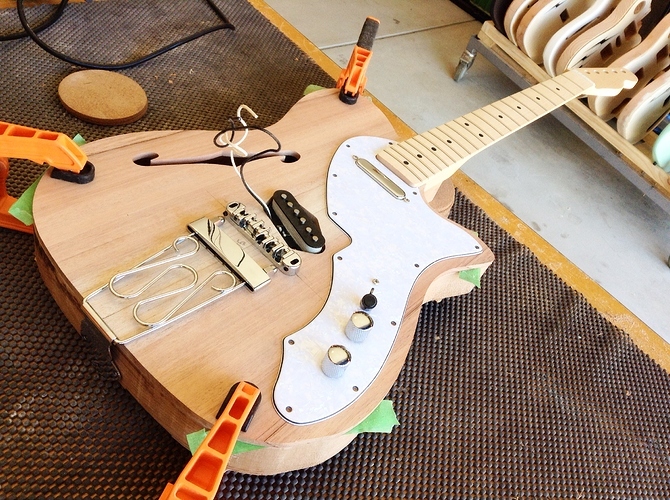 Bob said any advice would be great, so I offered some advice, from someone who makes a living using Easel to make guitars with. As far as that guitar you posted is concerned, I could carve the vast majority of that using Easel. Probably all of it. I’d never want to, but there it is. Nothing on it is that complicated, it’s just a lot of programming and 30+ different workpieces, and sanding out all the steps. If you used something like Fusion to mill that body on an X Carve, it would take all day and half the night. Point is, 3D effects are absolutely possible using Easel, it’s just quicker to use templates/jigs and do them off the machine. Whether you’re using Easel or Fusion/Vectric/whatever else. Just to clarify the Xcarve is capable of 3D operations but Easel or Easel Pro is NOT. Easel will not control x,y and z at the same time. 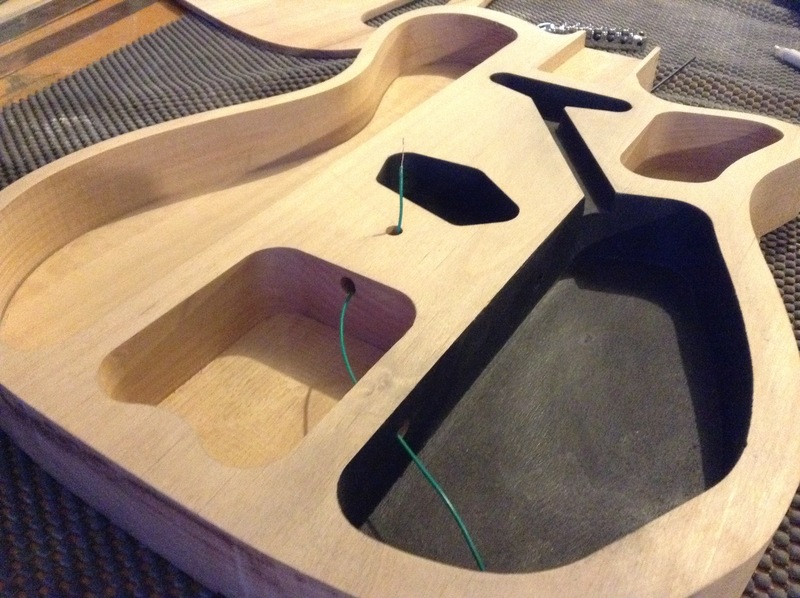 Is it possible to carve that guitar with Easel, Yes, with a few days of design a few days of cut time and a week of sanding. ust to clarify the Xcarve is capable of 3D operations but Easel or Easel Pro is NOT. Easel will not control x,y and z at the same time. 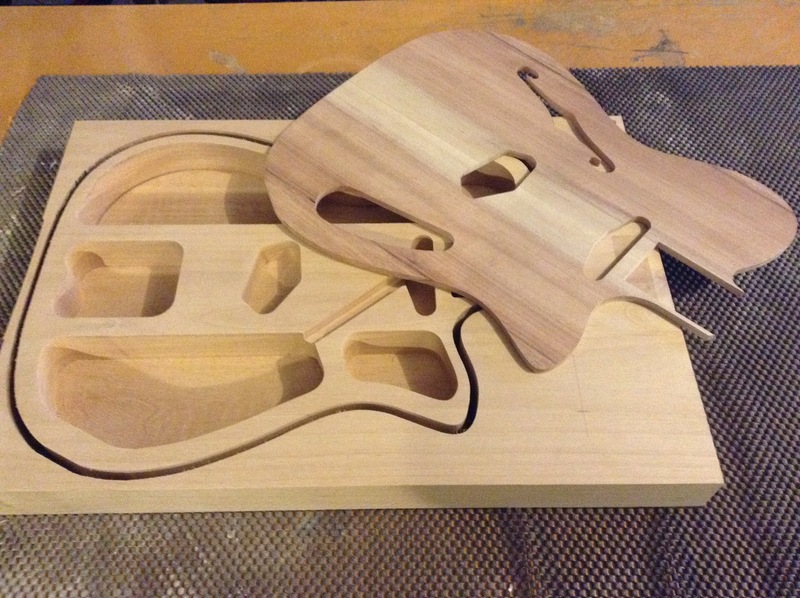 Is it possible to carve that guitar with Easel, Yes, with a few days of design a few days of cut time and a week of sanding. Incorrect! You can import properly set-up G-code files and easel will run it and the machine will cut it. The machine can do 3d carves, and easel can be used as a sender. There is a way to get from fusion to easel. I did it long ago but now i dont remember. Search the forum. Thank you JVanderwerff - this is exactly the way I was planning on using the Xcarve, you’ve answered my questions, we are on the same page. I still plan to use the 3D stuff, like Fusion or the Vectric software, but it’s nice to know I can be up and running right away with Easel. I prefer rasping out my neck shapes, like you said, I just want it dimensionalized, tuner holes, truss and carbon channels cut, etc. I was planning on doing the body shapes half to 3/4 the way through much like you do, just to save bits, router, and time - from there bandsaw, router, and roundover. stuff looks great! thanks again. Easel will not control x,y and z at the same time. I think this quote is where the mix up occurred. I assumed @ChrisRice meant that the toolpath generation part of Easel won’t make gcode with three axis motion. As a sender, Easel sends whatever code you can import. Pretty sure you’re all on the same page. No worries Bob! Just wanted to encourage you that you can start carving as soon as you set up your machine with the free app, and THEN decide what fancy other things you want to add to your workflow. Two other things- definitely get a dust boot and extractor. Making basses makes even more chips and buckets of dust! Finally, test tuner holes on scrap first. Something about the way Easel processes information makes it sometimes unable to make circles. Your mileage may vary. I use it to hog out enough of the material so I can then plunge my reamer in there to finish off the hole. That was my sticking point. Easel can send even if it cant generate, and v-carves are by nature “3d” in the sense they move in 3 axis simultaneously.